Indiana Beach is sold to Apex Parks Groups! California-based Apex Parks Group (“Apex Parks”) is pleased to announce the acquisition of Indiana Beach Amusement Resort (“Indiana Beach”). This is the second significant addition to the company since its founding less than a year ago. Indiana Beach is located on the banks of Lake Shafer in Monticello, Indiana. 2016 will mark the 90th anniversary of the park which has established itself as a true family vacation destination, spanning a total of 376 acres. The amusement park boasts a broad array of family entertainment and thrills; including one of the top wooden roller coasters and steepest drop steel roller coasters in North America. The theme park boasts children’s rides, zip lines, a waterpark, an arcade, miniature golf, traditional amusement park games and much more. Indiana Beach also offers more than 1200 accommodation alternatives, including 42 in-park motel rooms, 114 cabins, cottages & townhomes, over 1180 campsites, and 100 boat docks. What are your thoughts on this acquisition? Is this a positive or a negative for the park. I don't see how its reputation could get worse. I heard some not good things about the park this year so I'll give the new management a chance. Looking at the company's portfolio, this will be their first try at a "big" dry park with coasters. Hope they're up to it. I did not visit myself, but they had painted a few rides this year. I am guessing to sell it. Time will tell. I have high hopes that this will be a positive step for Indiana Beach. There is so much potential in that park, it just needs the right people to come along and get things back on track. I don't know if having an old Six/Paramount man is a good or bad thing? I am sure they have plans to put some significant capital money into it for the new feature! ^It has to be better than having an RV salesman right? Al Webber was the General Manager at Kings Island not all that long ago, and headed Paramount Parks and later Six Flags. He is a superb industry leader. This is excellent news for Indiana Beach, which has barely weathered the last eight years. Seems like a great new company with talent. I was waiting for your input here! I know it could not get any worse than Morgan for sure. If it was me, I would spend next year getting the park fully functional, clean, and spend the rest of my capital investment not on a new ride, but marketing and PR! Get the crowds back, and getting people to remember that it is still there. Then the following year a decant addition to the park whether it be the dry or wet side. Is that the new feature? I'd focus on fixing operations. By all accounts, it's been badly broken. Did they ever build their new for 2015 wave pool? Well, the RV Company is out- I'm hopeful that under Al Webber's leadership, Indiana Beach can get back on track and be a great park again. Especially since, after all, this was the first park I ever went to way back in 1999 and is home to my first large roller coaster, the Hoosier Hurricane. Really not much more I can think of. Hopefully the park gets back on track, and if it does, I'll probably be coming back to it soon hopefully since this is also one of the closest parks to me. Operations, Operations, Operations. Amazed this park has survived in the state it was operating in. I am hopeful the new ownership group focuses on fixing operations before any major additions. No, the last pics I saw on FB not much work had even started on it. I am guessing they stopped when they started the sell of the park. Yes, Al Weber was GM of Kings Island from 1992 to 1998. He had been with the company all the way back to 1976 when he was director of operations at Carowinds. After leaving KI, he became COO of Paramount Parks before eventually becoming CEO, until Paramount Parks was sold to Cedar Fair. He is actually a native of Cincinnati, having went to Xavier University. He actually got his start in the business working in operations at Cincinnati`s Coney Island! http://www.prnewswire.com/news-releases/al-weber-named-president--ceo-of-paramount-parks-77689812.html That article also mentions Jane Cooper, who was the CEO of Paramount Parks prior to Al Weber being promoted to that post. Incidentally, Jane also graduated from Xavier. She is now the COO of Herschend Family Entertainment. I have never been to Indiana Beach. One of these days I hope to make it out there. I have wanted to visit IB for years but have never made the trip due to all the bad stories I have heard about the operations there. I may finally have to make a trip next year if things sound like they are better. In 2002, he was appointed CEO of Paramount Parks, operator of five major theme parks in America. Weber led the organization for four years before selling the parks to Cedar Fair Entertainment for a near record valuation. Just a nice little reminder to say "wow, thanks Kinzel—you paid a LOT!" 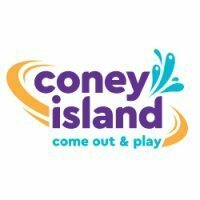 I really hope this is a positive change for Indiana Beach. I visited 3 years ago and had a blast. The best part about the park is that you do not have to buy a ticket to enter. That means my mom and mother in law could come to the park and watch my daughter ride rides and have a good time without paying a gate fee. Hope that is still arou d and will continue later on as well. Whatever they do, I hope they don't follow the lead of their brethern to the south. Not unless you are comfortable leaving your marketing to high schoolers. ...Holiday World? I always thought they had pretty good marketing. LOL Just Kidding, I think I know what park you're talking about- Kentucky Kingdom I assume. And I don't think Indiana Beach is going to be marketed the same way as that park- there is no fair board to pay a huge lease to, and no taxpayer dollars are going into IB to keep it open. By that virtue alone, IB could be more profitable in the long run, and thus have a bigger and better marketing budget as well. Could WISH have gotten a worse photo for their story? Plus they reported it 2 days after I reported it here. That is slow reporting for an all news station! This is exciting for reasons unknown to many. After visiting HW for the first time and seeing how they ran their park, I always wanted them to purchase IB when they were ready to sell. I thought that would be a good move for them. Have a Holiday World North! There was a time I would have agreed with you. I guess I should have included the first time I went to Holiday World. It was in 2010 at Holiday Hustle with Avatar and IBEW. Got a geat pic with Will that night! It's not even their photo. It says "WLFI Photo" underneath it. WLFI is the CBS affiliate out of West Lafayette, Indiana. Apparently it was easier to borrow a photo from a closer station than to search the web for better photos. Then, I could not possibly have agreed more. Now, I'll just say I don't feel the same way about Holiday World and never will unless and until it changes hands again. I've only been to HW only once since Will's tragic death and the family feud and split. I went several times before that. If you don't mind other than not seeing Pat, and the ugliness unleashed and the ruin of the tightly knit family what has gone down hill as far as Park operation and experience? In other words is the GP guest who knows or cares nothing of the spat or Koch family leadership adversely affected, and if so in what way? And I DO mind the ugliness. So much so that if a park ambassador sat at the gate and gave each person coming in a new car, I wouldn't go. As I've said before, I won't be going to that place again unless and until it changes hands. And it's about a lot more to me than just "seeing" Pat Koch. This summer, I made a special trip to Alabama to visit with that wonderful, wise and insightful woman. She's been hurt badly by all this. Sadly, as a certain Indiana court case clearly indicates, I fear she has set herself up to be hurt again. So very, very, very sad.